Tony worked in both building and civil construction for 22 years in the plumbing trade. Sites he was engaged on include domestic and commercial for general, civil and mechanical plumbing. After witnessing a near fatal incident Tony developed a passion for health and safety in the workplace. After completing a Diploma in OHS he gained a position with WorkSafe Victoria, starting as a field inspector and an investigator. After fourteen years with WorkSafe he left to take the position of a consultant and director at MultiSafe Solutions. 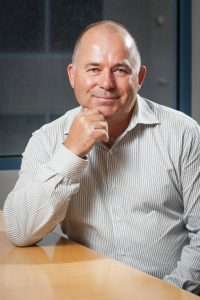 Tony is a passionate and highly experienced OHS professional who enjoys providing advice and practical solutions for the construction industries. Diploma of Government – Workplace Inspection.